SF SAID: Phoenix Wins Haringey Children's Book Of The Year! Phoenix Wins Haringey Children's Book Of The Year! 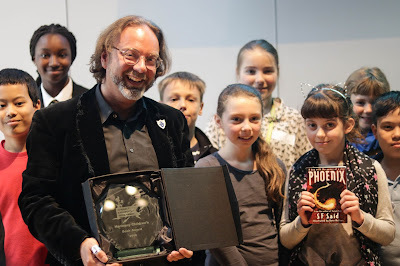 Amazing news: Phoenix has won the Haringey Children's Book Of The Year Award! 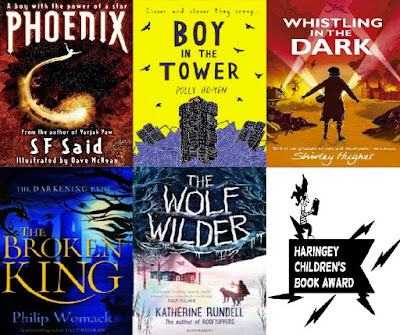 This is a fantastic book prize organised by brilliant school librarians and voted for by young readers in schools all over Haringey, North London. 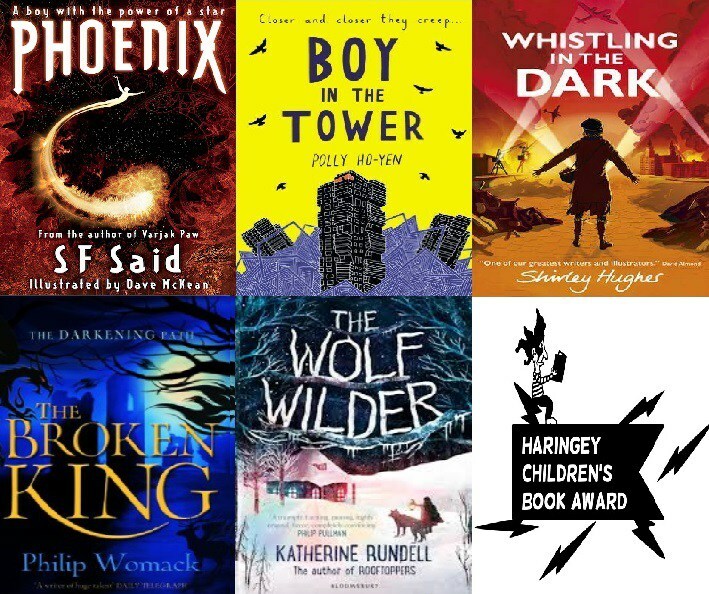 I was honoured when Phoenix was included on an incredibly strong shortlist with books by great writers like Shirley Hughes, Philip Womack, Polly Ho-Yen and Katherine Rundell. Some stunning Phoenix-inspired artwork then appeared in the window of local bookshop, Pickled Pepper Books, created by some of the students who had read it for the prize! The day itself was amazing. It was hosted by Heartlands High School, whose fantastic librarian Helen Swinyard organised the awards. First I did a creative writing workshop with Year 7s from Highgate Wood School, sponsored by local arts organisation Collage Arts. 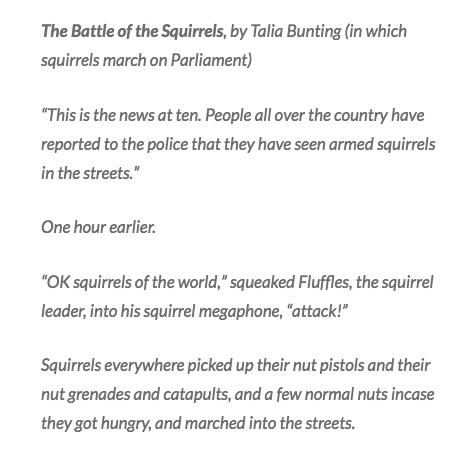 The Year 7s produced some seriously brilliant work, like this short story; you can read more in this wonderful blog on their school website. 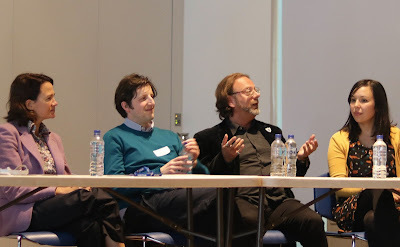 After the creative writing workshops, Philip Womack, Polly Ho-Yen and myself did a Q&A session with students from all the schools involved, and were joined on stage by local MP Catherine West. I was particularly delighted to see some students there from Fortismere School, where I am Patron Of Reading, accompanied by their brilliant librarian Gillian Ward. 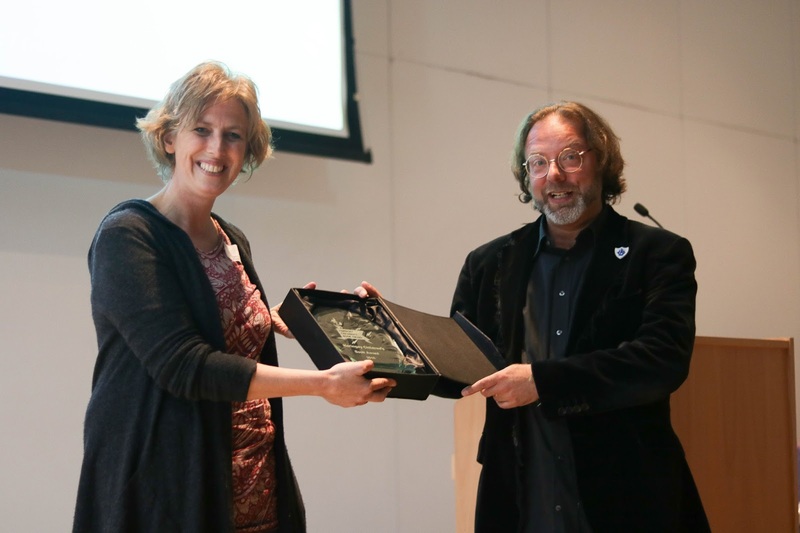 Then it was announced that Phoenix had won, and I was presented with the award by last year's winner, Gill Lewis! You can see the moment itself in this video clip, posted by North Haringey School! It was amazing to see all the enthusiasm for books out there. 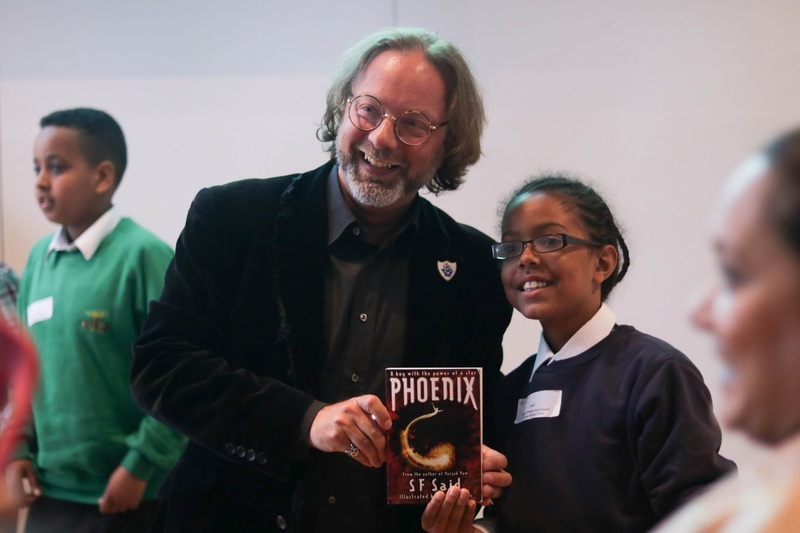 It really meant a lot for me, especially because Phoenix was largely written in Haringey Libraries. So a huge thank you to everyone involved – it took me seven years to write Phoenix, but moments like this make all the hard work worthwhile! This is wonderful!!! I love Phoenix SO much, I'm so pleased for you SF! Thank you so much - that really means a lot to me! Who was your favourite character in Phoenix? The only Science-Fiction book I've read- I quite enjoyed it despite myself! That's an amazing thing to hear – thank you so much, Carolyn!